Created using slip casting and lathe-cut plaster moulds, Patrick Hartog Ceramic Lights offer a highly personal, elegant and intriguing illumination solution. 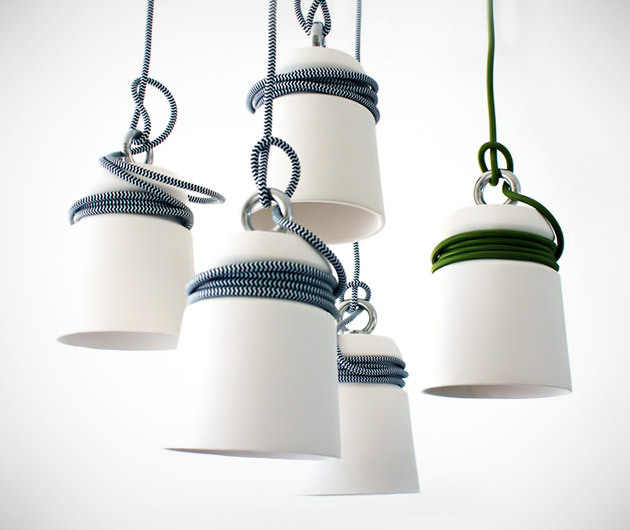 Each earthenware piece can be customized with colored cables and shades and sports a top metal ring that ensures a balanced beam. For the optimum in illumination style, we recommend buying a few and hanging them together in a cluster.